C'mon, admit it. Once again you've bought too many bananas and now they're looking mighty sad sitting on your kitchen counter covered in black specks. 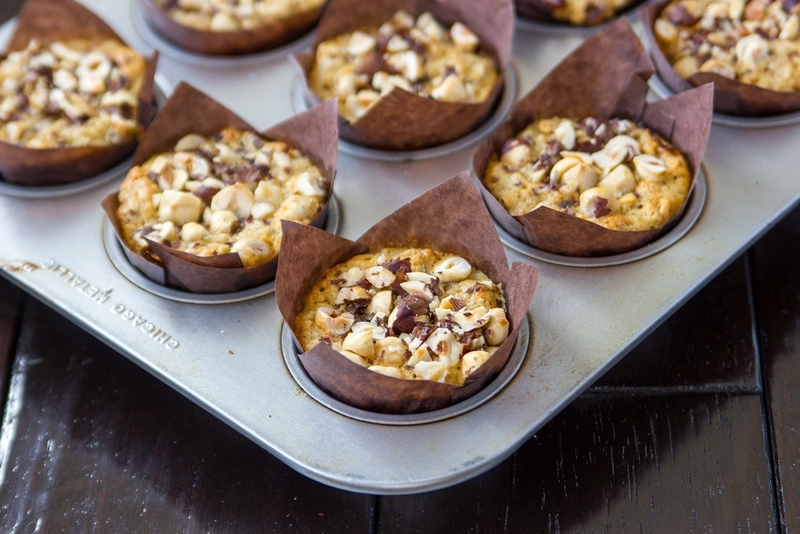 Not to fret, it's a perfect excuse to whip up a batch of delicious muffins! These are one of my favorites. I love how they rise high above the pan and practically pop right out of the tins without sticking. Loaded with blueberries, banana goodness, and crushed almonds for a bit of crunch. Just in time for Mother's Day. 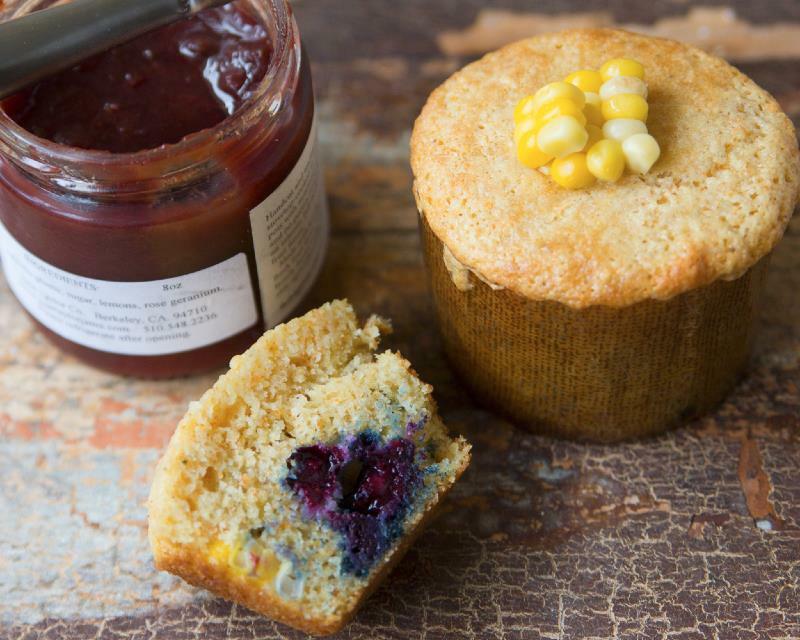 Let's face it, muffins are really little cakes without frosting. I try to avoid them at breakfast, opting for a healthier choice. But when I can't resist, I look for muffins that aren't too sweet, contain some whole grains, and perhaps a bit of fresh fruit. Which brings me to these beauties. It's been a good season for Ohio corn. The yellow and white variety commonly known as "Peaches n Cream", has been consistently sweet, and oh, so tender. Now that summer has come to an end, I will miss it dearly. But before it's all gone, here's one final recipe. 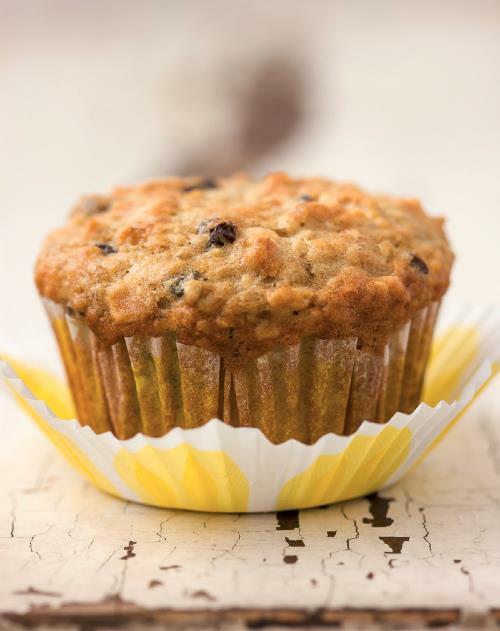 Loaded with goodness, these muffins are guaranteed to kick start your day! The batter can be mixed the night before if you like, and the muffins baked fresh in the morning. Add a bowl of fresh fruit, a little Greek yogurt, and hey, it's the beginning of a great morning! It's countdown to Thanksgiving, my favorite holiday. Great food, good friends and family gathered around the table to give thanks for our bounty. I can't think of a nicer celebration. In my never ending quest to find a better way to get the holiday dinner on the table more efficiently, I've decided this year to bake my stuffing in muffin tins. No last minute fussing. Simply pop these out and onto a serving dish.